A while back I made some freezer meals for my slow cooker. It is easy and quick. All you do is put all the ingredients in a zip lock bag, label it, and put it in the freezer. When you are ready to make it, you pull it out of the freezer at least 24 hrs to thaw out in the fridge. Dump it into the slow cooker, set it on low or high, and let it cook for the recommended time. Easy peasy! 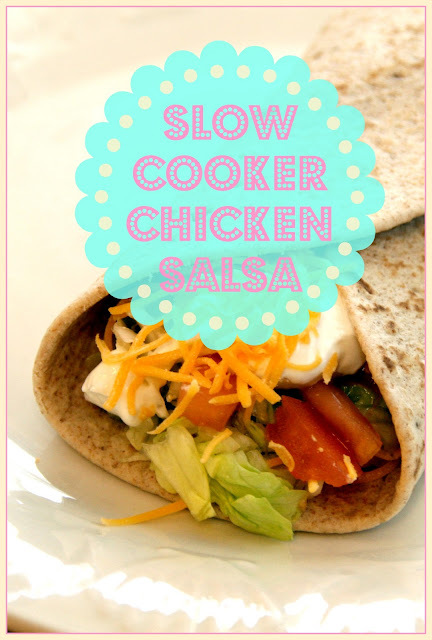 This recipe is part of the series that the Six Sister's Stuff did on Slow Cooker Freezer Meals which can be found here. I have freeze all of the meals and so far so good they have been turning out great! As of right now, this is the third freezer meal and the rest are still frozen. You can check out my post on Slow Cooker BBQ Cranberry Meatballs, which is awesome! My other post is the Slow Cooker Hearty Beef Stew. I would suggest that you pin it for later when it is winter. I think it doesn't sound good for the up coming warmer months. I have made some of my own adjustments of the recipe which will be in the parentheses. 1 - 1 oz package of taco seasoning Note: I did used one in the mild flavor, but I think next time I am going to add another package or use a spicier mix. Place all ingredients in a gallon sized resealable bag. Mix together in bag and zip lock it. Be sure to label what it is and the date. When ready to eat, remove from freezer and thaw for at least 24 hours. Cook on HIGH for 3-4 hours or on LOW for 7-8 hours. The chicken will shred easily when done. 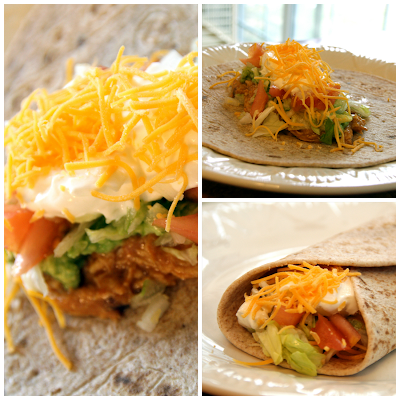 Serve over rice, with tortilla chips, over a salad, in tortilla shells, or wrapped in a soft tortilla. This dish is so versatile. You can ggarnish with cheese, sour cream, avocado, lettuce, tomato, and hot sauce. I put onions, lettuce, tomatoes, cheese, mashed avocado, and sour cream in a whole wheat soft tortilla. It was delicious! The only thing I would do differently is to use more seasoning preparing it for the freezer.